Water Ballast Management (BWM) systems are eminent. US Coast Guard continues to implement guidelines and type-approvals. 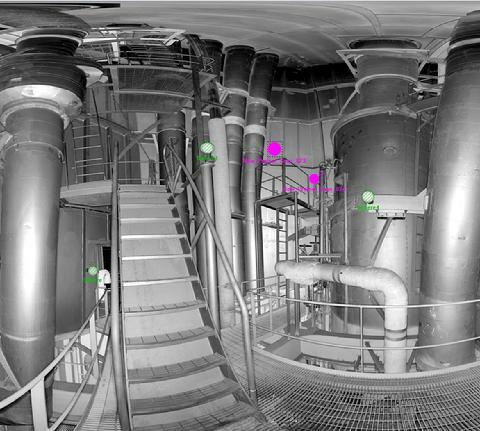 Physically integrating the BWM or Exhaust Scrubbing System into the ship and ships's engine room spaces can be problematic. Up-to-date as-built documentation can be hard to find. Piping, electrical, and machinery clashes can lead to delay and costly rework. Laser scan gives an accurate 3D model of the ship’s hull, decks, framing, support structure, piping, and machinery. These models greatly assists the process of planning and implementation of a BWM or Exhaust into the ship.